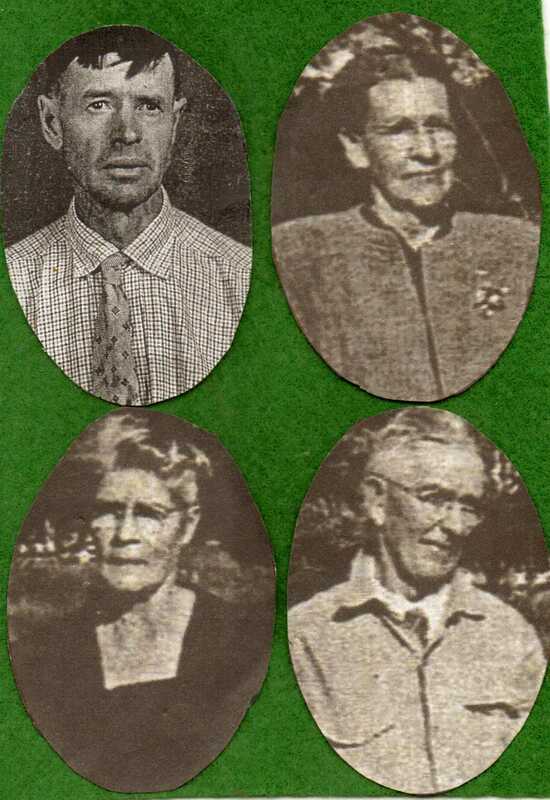 Images are of Martha Dorcas Fulks Hallman, Ella Belle Abbott Fulks, and Norman Ray Hallman. Dorcas is my sister, and her oral and written communication are pure, simple, and clear excellent. When I visit my sister, we have a wonderful time in conversation. Photographer was George Fulks. Our grandmother Sara Elizabeth DePriest Pinegar deceased in March, 1940. George Harold Fulks, the photographer and creator of rummageandella.com, was born on June 3, 1940- never meeting that Grandmother whom all her family were so fond. I remember that "Ma-Betty" was very petite in size; about five feet tall and probably never weighed over one-hundred pounds. She was a very gentle and soft-spoken woman. I never once saw her angry or even heard her raise her voice. 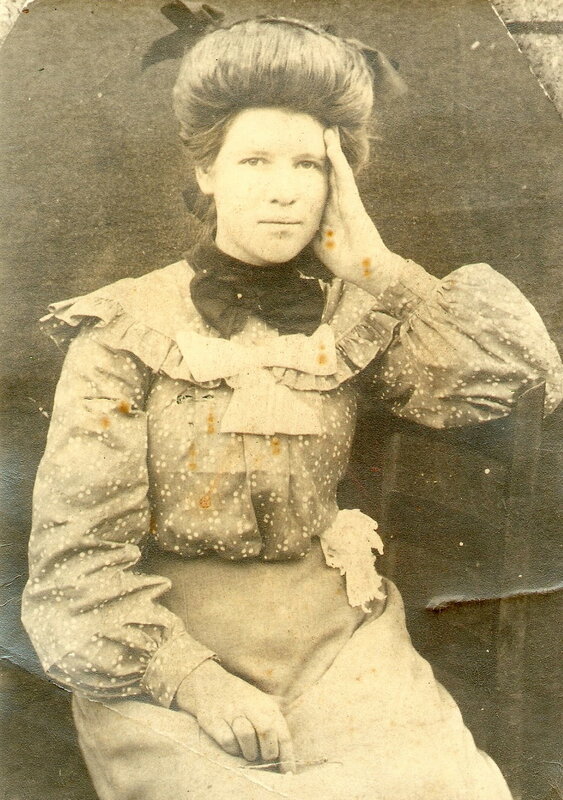 She was left a widow at age twenty-eight with five children and one on the way. She had Dinah, Vollie,Carie, Josie, Dyer and Lalus. Lalus was born after she was widowed. 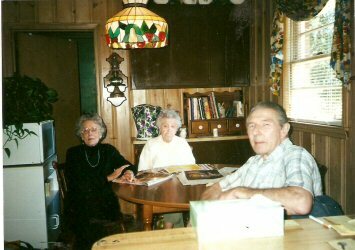 In later years, my ggmother gave-up her home and farm to her son, Nay Dyer Pinegar; and lived with her children; visiting for a while with each. She loved oranges and when they were in season, she always asked my dad to bring some from the store. I remember that Ma-Betty's hands were always busy. My ggmother grew a small amount of cotton in her garden and she would sit by the fireplace in winter and pick the seeds from the cotton-pods.She would then"card" the cotton with "carders". By rubbing the cottonballs with the "carder," the balls formed into "batts"-small rectangular or squares used for padding quilts. She also pieced quilts. She would cut squares from a newspaper and use strips of fabric (whatever size needed) and piece them together; the seams sewed through the paper. When the square or rectangle was completed, she would trim the edges to fit the paper and then, tear the paper away. Later, they would all piece the quilt. I remember that she always had the neatest rows of stitches- very small, stitches. She was well-known at the "quilting-bees" as as excellent quilter. My ggmother, Sara Elizabeth Depriest Pinegar, was highly regarded by all who knew her; and was affectionately called "Aunt Betty." George's Notes: An earlier Nay Dyer Pinegar was born 2-20-1868 and deceased on 2-24-1955. This Nay Dyer Pinegar was a son of William Pinegar and Nancy Ingram. That was not the one we knew in Lyon County, Kentucky. Important to note is that Benjamin Franklin Pinegar, husband of Sara Elizabeth Depriest Pinegar, was the oldest son of William Jackson Pinegar and Nancy Ingram. Our Nay Dyer Pinegar was born in 1884 and deceased in 1962. (Special gratitude to "Descendants of William Jackson Pinegar" file.) All the Pinegars we knew were originally from Tennessee. 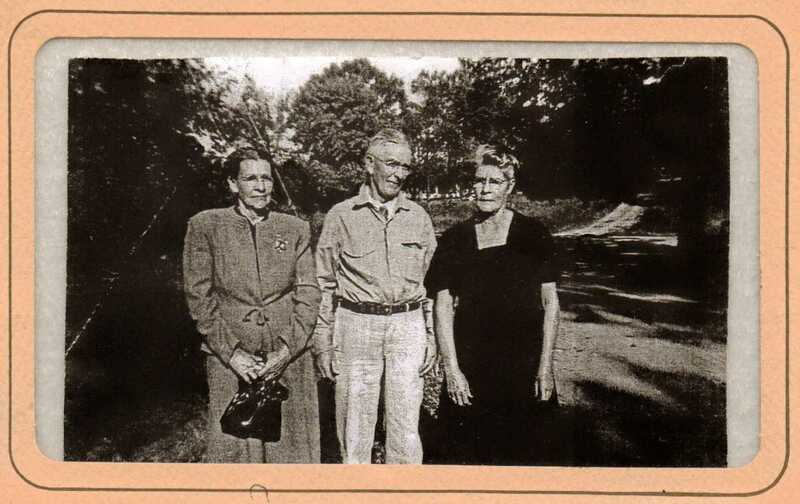 Image is from a 1930's photo of Carie Atlantic Gertie Dell Pinegar Fulks. Daughter of Sara Elizabeth Depriest Pinegar, she married Mattie Mandar Fulks. Their children were Rummage Ira, Seamer M., Herbert Buford, and Wilmus Avel. 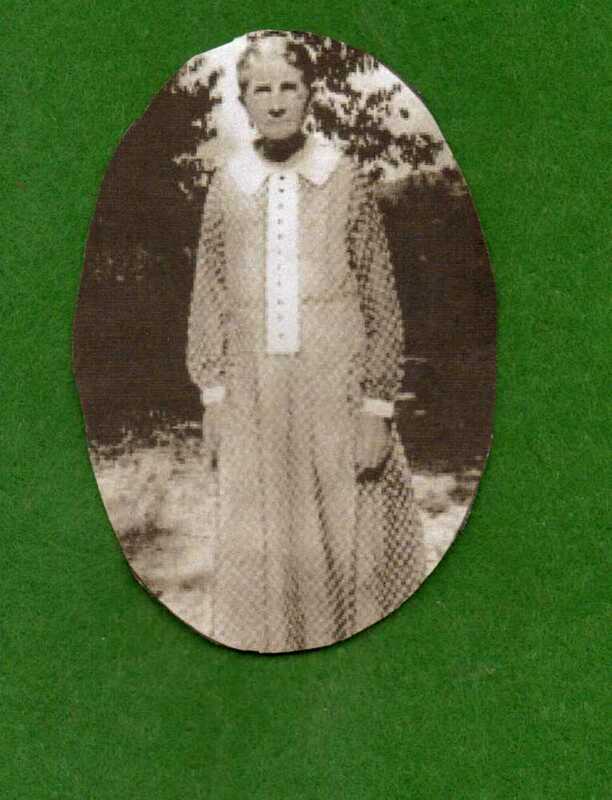 Grandmother Sara Elizabeth Depriest Pinegar was left a widow at age 28. Her husband, Benjamin Pinegar, had deceased in 1887. By his death she had conceived six children. The children's names were Dinah, Vollie, Carie, Josie, Dyer, and Lalus. Her daughter Carie Atlantic Gerthie Dell Pinegar Fulks was my grandmother. 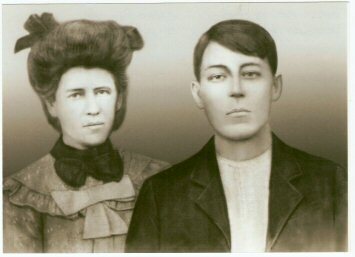 Carie is pictured below with her husband, Mattie Mandard Fulks. 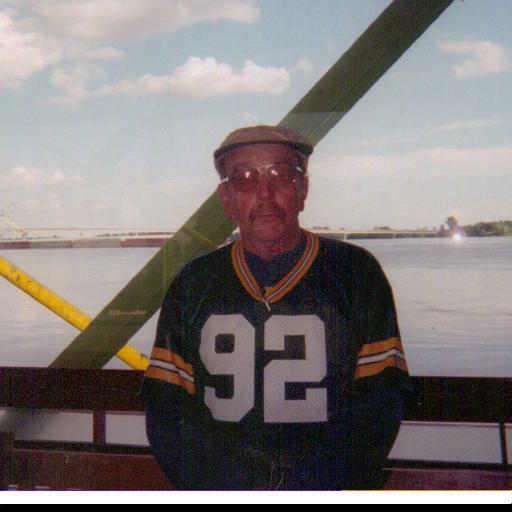 It has been determined that cause of premature death for Benjamin F. Pinegar, husband of Grandma Betty was drowning. 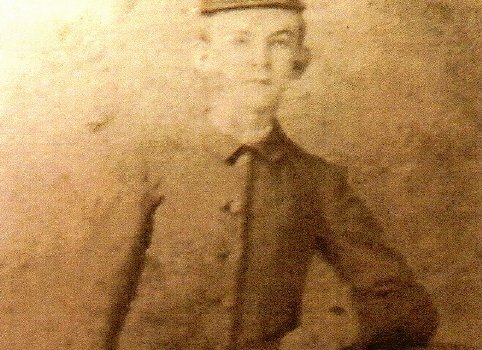 In appearance, when compared to the Pinegars I have known, Greatgrandfather Benjamin Pinegar was most likely short in stature, blond-haired and blue-eyed. Information on the net seems to indicate that the Pinegars(formerly going by the surname Banninger) were immigrants from Sweden.